Since its inception in 1971, the Seldom Scene has thrived on playing bluegrass a little differently than everyone else. 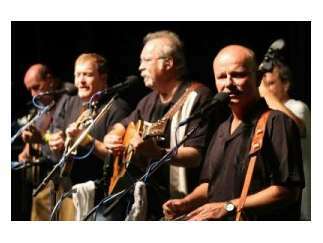 If other bands used a fiddler, the Seldom Scene used a Dobro; if others relied on old standards, the Seldom Scene played rock classics. Through skilled musicianship and an urban approach to bluegrass, the Seldom Scene has become one of the most influential bluegrass bands of the last 30 years.